http://www.line-stickers.com/ – Meet GILTʹs new fashion icon! Yuki-chan Summer Edition!Line Sticker | Say Hello to Yuki-chan, GILTʹs new fashion icon and the most stylish snow leopard in town! 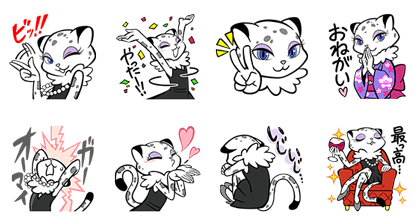 Express yourself with Yuki-chanʹs own set of cool new animated LINE stickers! Friend Giltʹs official account to get this set for free. Yuki-chan’s new stickers are here! 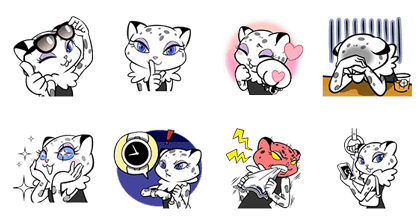 Featuring the fashionable snow leopard from NY, the stickers include ‘Kiss ♡’ and ‘Yukata’! Give your chats some Yuki-chan style! Friend GILT’s official account to get these stickers for free.